I thought I would do a post on each one of our girls, so you can start to get to know them as we are each day. 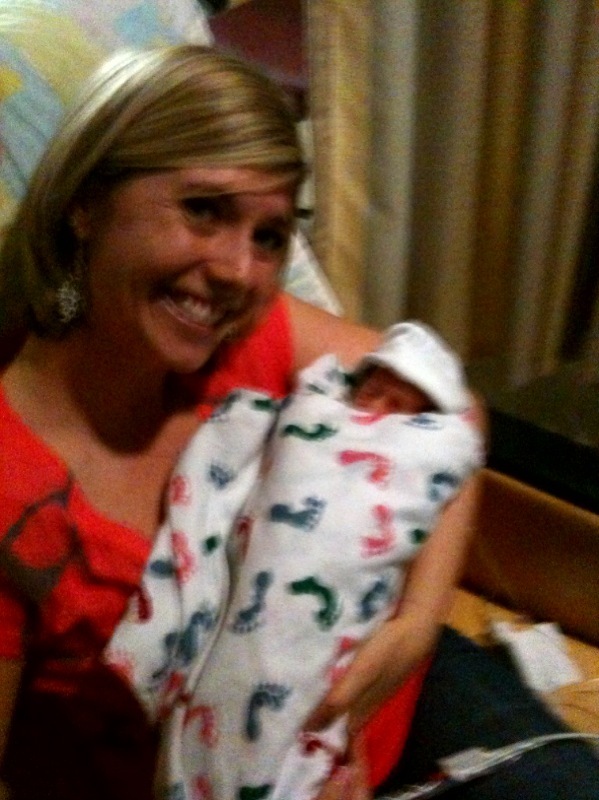 Emily Ray Coy is our littlest miracle. She was 2.11 when she was born and now she is 3.3! She is my smallest and she is the oldest! 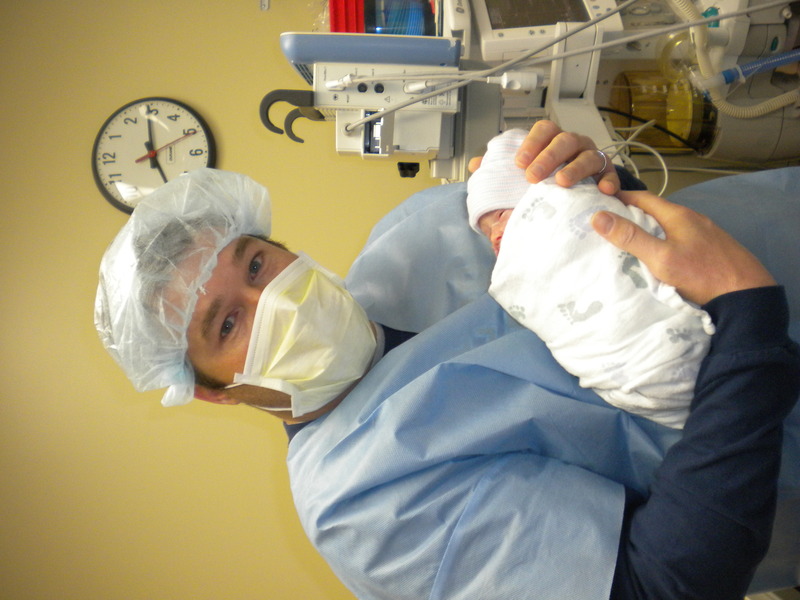 This sister came out first at 8:06 a.m. She is one half of the identical, Camdyn. We are pretty sure they look identical, but because they are not in the same room and we have not laid them side by side, we have not had a clear look at all their features to know for sure. She was our Baby A. The one that we always kept a special eye on during pregnancy. 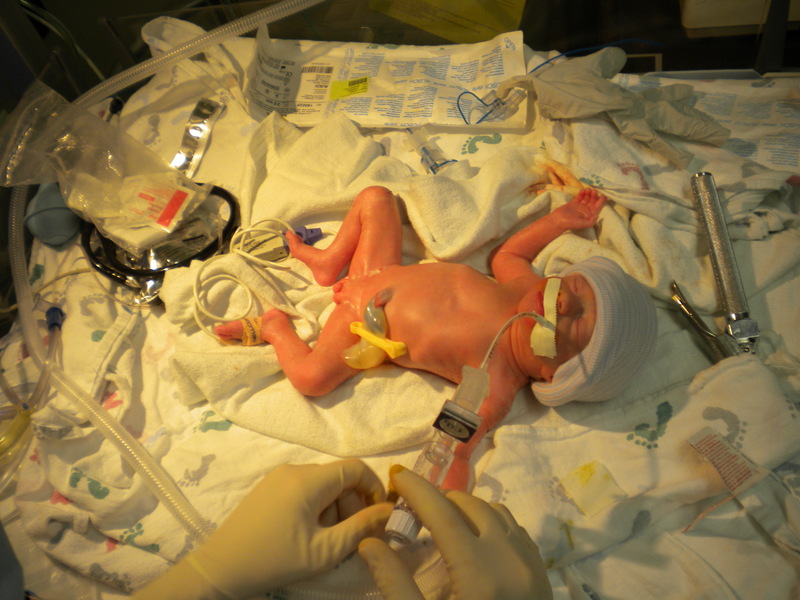 She was also the baby with the two-vessel cord that we needed to make sure was getting the nutrients just as sister (Baby B) Camdyn was at the time. She was always the baby that moved and squirmed when trying to get profile pics of her. She was the one that always had us on eggshells when they needed to get pics of her heart, brain and when we watched her breath for the first time inside my belly. Even being the smallest, she is our fighter. She wants to make sure that you have not ruled her out in the race. When her sisters have made progress she is neck and neck with them in that fight. Her nurses love her little personality. She has dark hair, darling blue eyes that will focus on you when you are talking and you cannot help but just love how ity bity she is…Of course, we want that to change…quickly, but she is doing so awesome and we are so proud of her. She was the first to have her pic line out. They are now upping her feedings and she is very close to what sisters are getting. They are fortifying my milk to give her an extra boost so she can continue to gain weight. Currently, Emily shares a room with a special little boy, Ty. 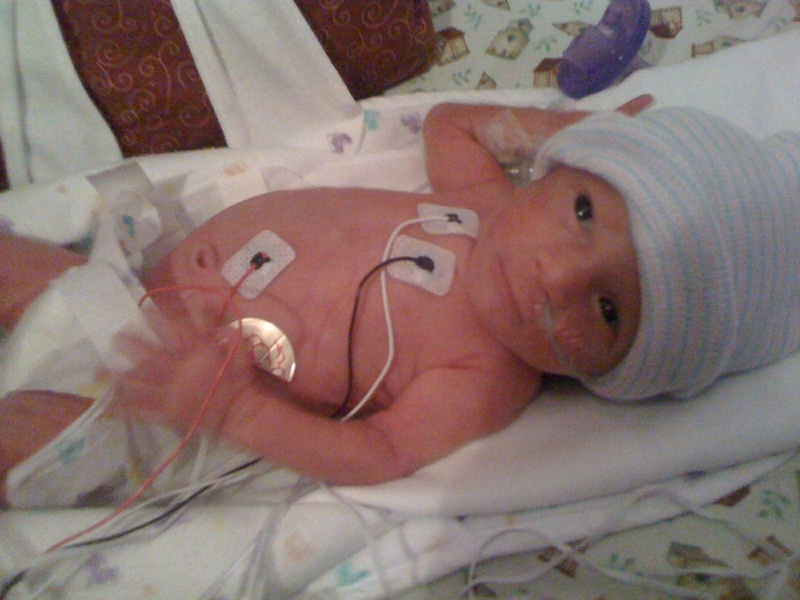 Ty is a premie also and is currently on a ventilator after being born early and having heart surgery. We always say a prayer for Ty when we go spend time with Emily. I hope some of Emily’s fighting personailty rubs off on baby Ty. We continue to be amazed at our little girls. It is only day 10 and Avery, Camdyn and Emily are surpassing milestones everyday. I think Bryan and I have said, “Can you believe this is our family? or Can you believe these are our little girls?” on the way home from the hospital everyday. We feel so lucky they are all thriving right now. 1. The Girls: The great news we got today was not only about their weights, but the news that Avery may be only three or four days away from being ready to be in a crib! This is huge. Also, all the girls are going up on their feedings. 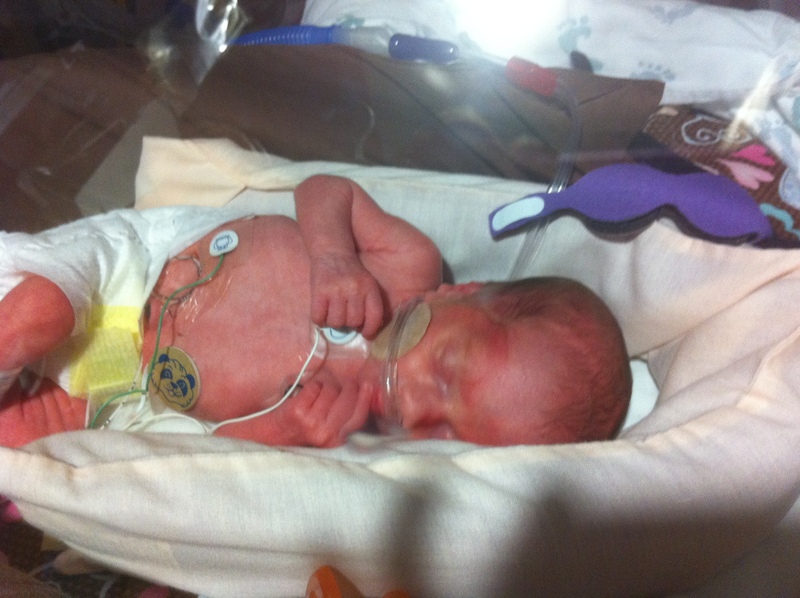 Both Avery and Camdyn will soon be removed from their IV fluids and attempt bottle feedings. If I was a betting man, as Bryan would say, we predict Avery will be home in the next two weeks, Camdyn soon behind her and Emily last but not least. Don’t underestimate the small fry. But, we have to be reminded that these babies are still gestationally 32 weeks old. 1. Maintain their body temperature in a crib with clothes and blankets on. 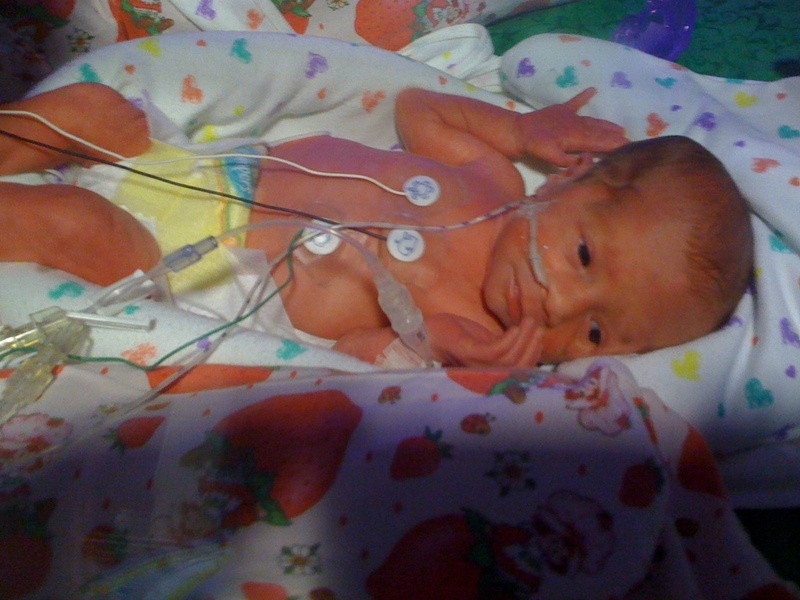 and (bottom) Emily 3.1 – She entered the 3 pound club today! I love this pic. Daddy took this tonight and caught her in mid-yawn. 2. Mom (me 🙂 ) – I am slowly feeling better. I have to remind myself that I just gave birth 10 days ago…to triplets! After being on bed rest for six weeks, I am running on adrenline and forget about the fact that those cute little ones were taken out of my belly. I still look at them and wonder where the heck they fit! I really was blessed with a wonderful pregnancy for this situation and I thank God for that experience everyday. But, I do thank God that I am getting my body back and beginning to feel normal again too. 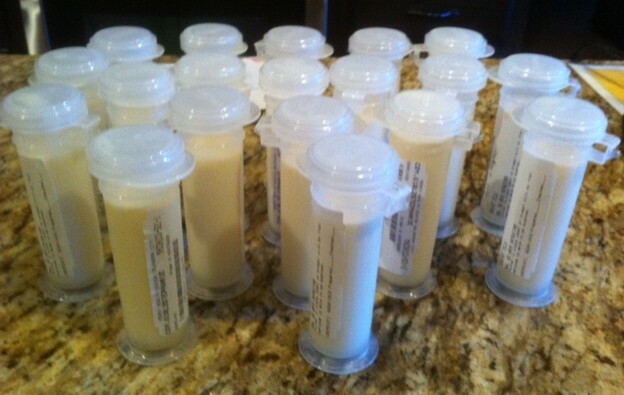 I have been pumping like crazy and the nurses at the NICU finally told me that I had two shelves full in their frig and I could not bring anymore for at least five days. They attribute their quick growth to the fact they are getting my milk and I am blessed to be able to aid in their development at this very moment. Is it inconveient? Painful? Weird? All of the above 🙂 So, when I am not resting or seeing my girls below is a picture of how busy I have been since I came home last Wednesday. This pic is one days worth! 3. 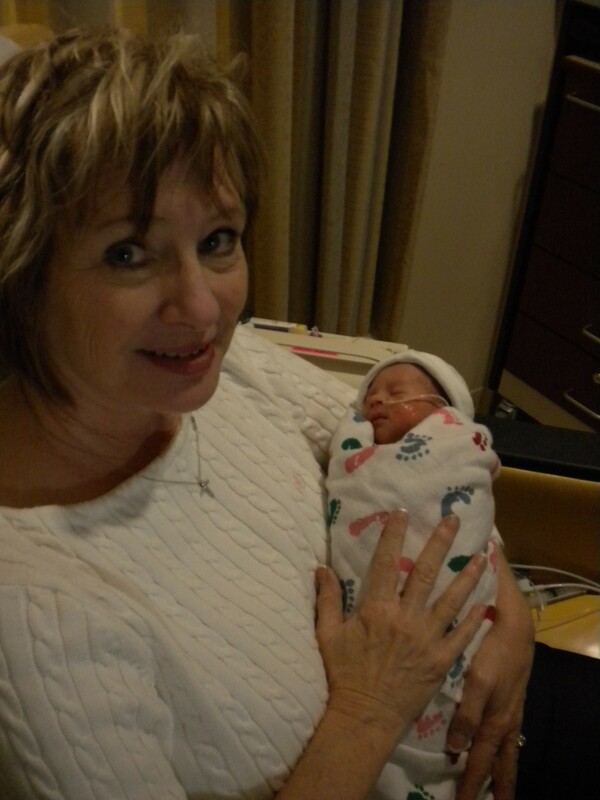 Mimi (holding Avery) and Papa (Camdyn), Nana and Aunt Amanda (with Avery) got to hold Avery. I think they enjoyed it to say the least. Miss Emily is not left out. Just timing was good between feedings for these two when we took these pics over the weekend. We are blessed with an amazing staff of nurses at the Mercy NICU. We are learning them all by name and we are thankful one nurse cares for Avery and Camdyn and one nurse for Emily. I wish they could all be in the same room but there is just not enough space for them to all be together. These nurses are some very special people and we are thankful for them everyday. 1. All of the girls are still on no assistance for breathing! 3. They are all feeding on my milk and increasing their feedings every day. They have this nifty little machine that feeds them through a feeding tube continuously every two hours and they are taking it like champs! 4. Regular bowel movements. Okay, sounds weird, but it’s a blessing to pray for poop! Once they eat, its important for them to go to the bathroom and thankfully they are all progressing in this department. 5. Pacifers – All the girls are taking a pacifer every now and then. This is important because they are practicing sucking to be ready for a bottle soon. And lastly, the most important prayer answered….They are all gaining weight! As to be expected, many babies lose weight when they are born and it takes a few days to gain it back. Premies are especially effected by this, but my girls (yes, I will brag) are doing fantastic. 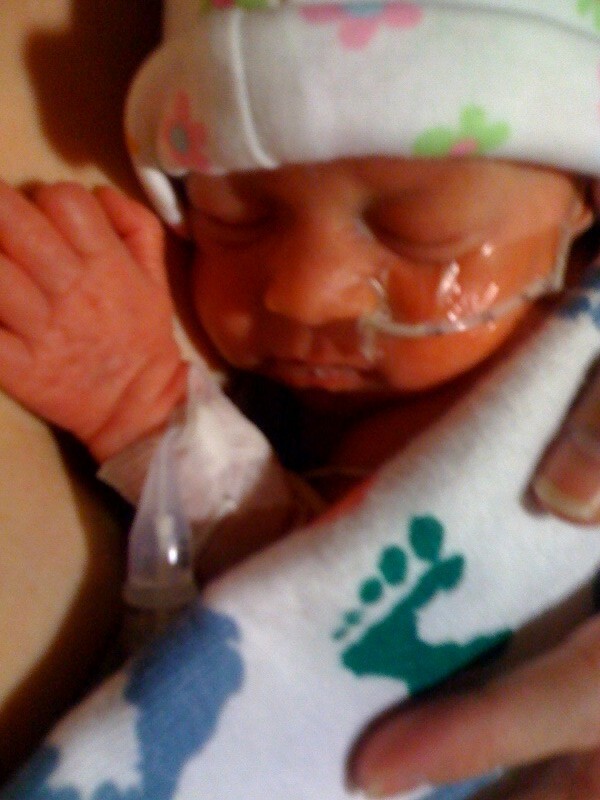 Avery is back to her birth weight of 3.7. Camdyn is 3.2 and our little Emily is growing not so little anymore. She has actually gained her birth weight back (2.11) plus 3 ounces so she is now just a few ounces away from 3lbs! The neonatologist on staff today called us at 8:00 a.m. (which those calls make your heart drop) and said that pretty much they are doing great and the focus is for them to continue to increase their feedings, gain weight and GO HOME SOON. Just hearing that made me so happy that the specialist is so optimistic about our girls. Bryan and I are in love with our girls. It is magical to see them change everyday and grow. We still are figuring out who looks like who…We will let you be the judge. The pictures below are in order: Avery, Camdyn and Emily. (Camdyn and Emily are the identical twins, which we really can’t tell that even right now). I have held all of the girls several times, we have changed diapers (yes, Bryan too) and we look at their nursery with much different eyes now. We cannot wait for them to be home. We are holding up, but I will admit a few breakdowns out of the middle of nowhere have come from me. Mostly happiness, but of course worry and concern. Please pray for their ultrasounds they had today on their brains. 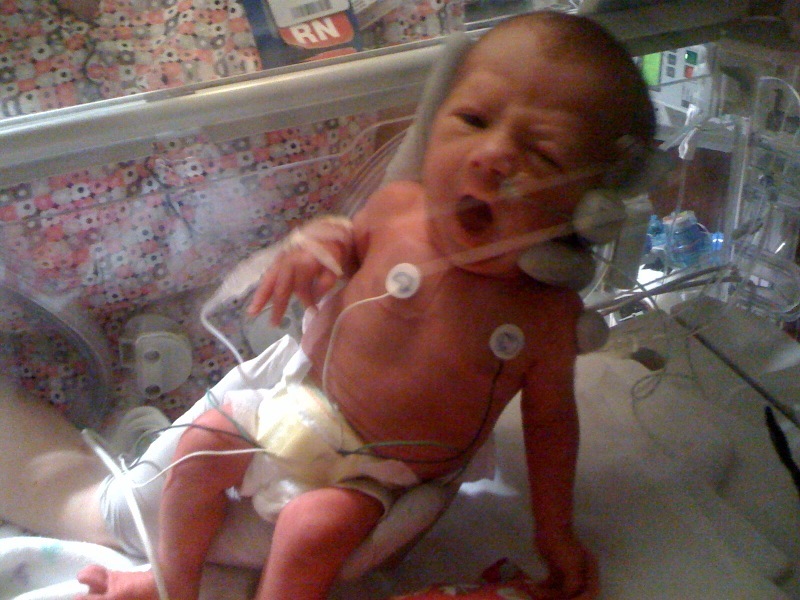 The head nurse, Bonnie, told us not to worry that it was routine for a seven day old in the NICU. But, of coruse we worry. This is their little heads you know. Here are a few more pictures..We will post more soon! Thanks again for all the love and support. We have no idea what we would do without family, friends and the wonderful medical team that has taken care of me and the girls. I am naming this post “coming home with our girls in our lives,” because it is a celebration… period. They are in our lives and although we did not welcome them home tonight, they are already home in our hearts. We are exhausted emotionally and physically, but we cannot deny how big our hearts feel at this moment that we have daughters that are beautiful, strong and showing us such strength. Thank you for all the wonderful messages, prayers, and constant support especially today. Bryan and I both feel peace in our hearts that they are being well cared for and that God is providing each and everyday. Tomorrow, they will be five days old. It has been the best five days of my life and I know Bryan would agree. As people of faith, we have seen God in the eyes of our little Emily, Avery and Camdyn. 1. All girls are off assisted breathing except for basic oxygen in their nose. 2. All the girls’ EKG came back with wonderful results that the medicine to close their little heart valves worked like a charm. This was huge! 3. 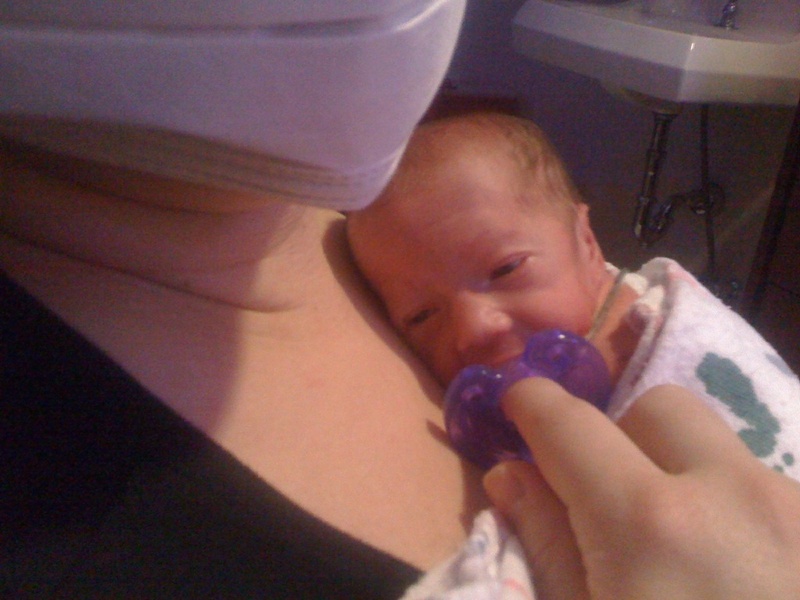 Emily, our smallest, but don’t let that fool you – Took a feeding for the very first time and took every last drop! They give their feeding through a tiny tube in their nose over a period of time. The nurse said that most times on the first try that babies will not take it all. Not our hungry girl! 4. All girls had to “go to the bathroom” in order to “advance” to a feeding. Emily led the way and Avery and Camdyn will start their feedings tomorrow morning. 5. All girls had to endure PIC lines for central feeding and took it like champ. The best part of that is that it gave us the opportunity to hold them yesterday. 6. Skin to skin is the best feeling in the world with your new babies. Both Bryan and I participated in placing at least one of the girls on our bare chest in a little pouch of our shirts just like a “joey” kangaroo. It was a moment I will never forget. And lastly, a blessing that may seem a little odd but it is truly a miracle is that I am already producing breast milk. This is huge and I have been able to supply the nurses with what the girls need for more than enough days, so I just continue to keep on providing what they need. For everyone who loves to have a sweetheart on Valentines Day how about having three! Bryan and I are so in love with these girls it’s by far the best holiday yet. We still have held our angels but soon enough. They are thriving and doing very well. Here is a quick recap of our day and photos you are all expecting! 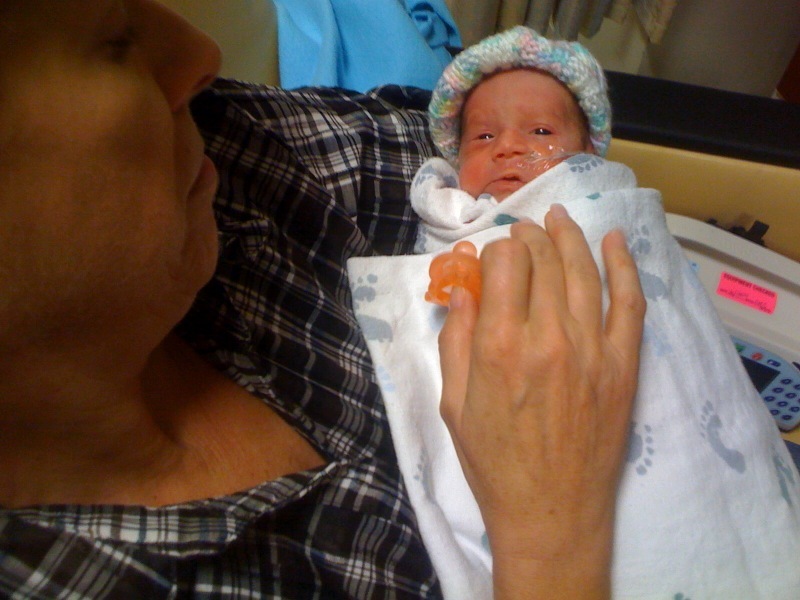 – All girls are off CPAP machines and only on very little oxygen through small nasal cannulas. – Still under Billy lights for coloring/jaundice but nothing abnormal. 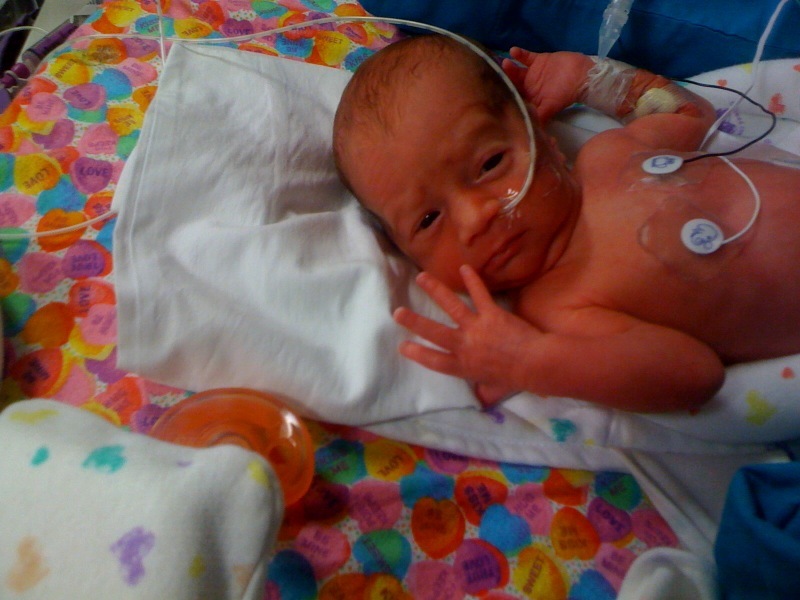 Emily (formerly known as Baby A) – She is on no assistance breathing at all. For the smallest she is mighty and Bryan calls her his little feisty school yard scrapper! to soothe herself and her other sisters should take notes! Avery (baby c) – Is sassy and vocal! For the gal with the most room she sure demands her space to stretch out. As for who they look like? Not too sure yet. The twins seem to have my nose and Avery has daddy’s. Prayer needed: They had EKG tests to check their hearts. While they are in my tummy their heart valves are open. 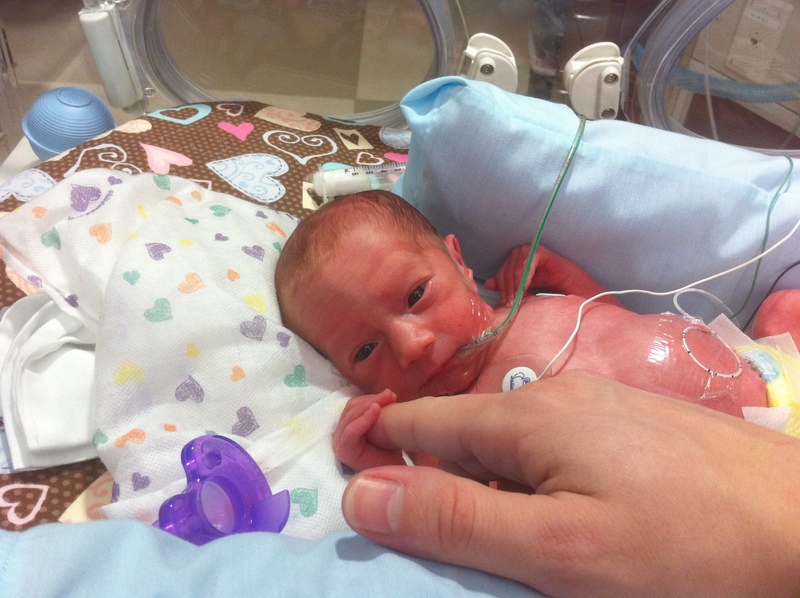 Babies like ours that are premature may take a while for those to close naturally after birth on their own. The neonatologist told us they are still open and medication will assist with them closing. They will all start those medicines immediately. He said it was normal for these girls and expects it to work well. Please pray they progress and their little hearts to thrive. We have some pics but technology is not cooperating tonight so hopefully I can post tomorrow!!! 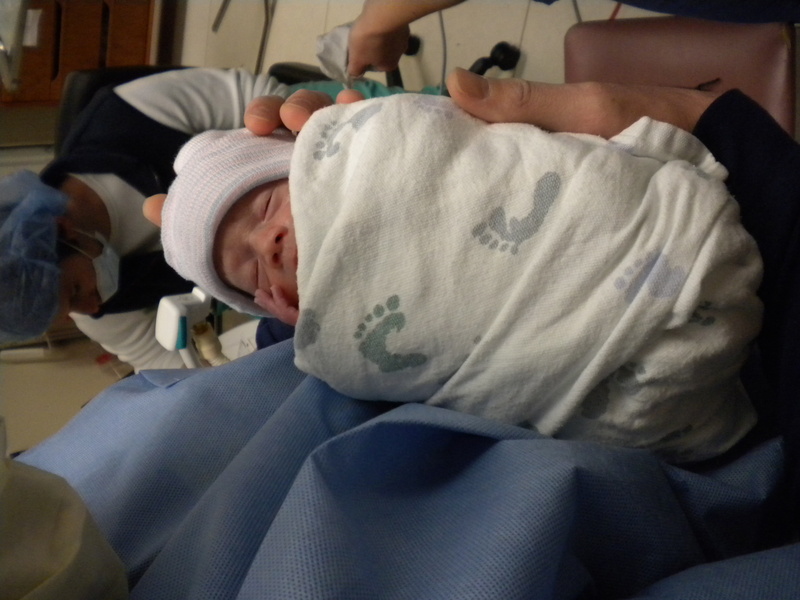 Emily Ray at 8:06am weighing a resilient 2lbs. 11oz. 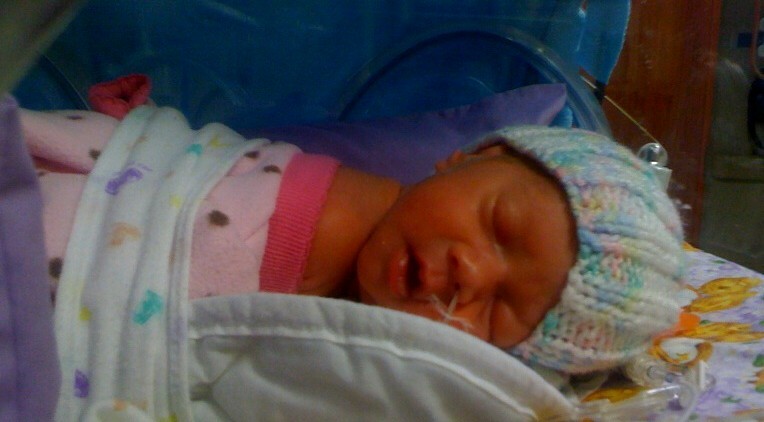 Camdyn Lea at 8:07am weighing 3lbs 2 oz. Avery Lynn at 8:08 weighing 3lbs 7 oz. 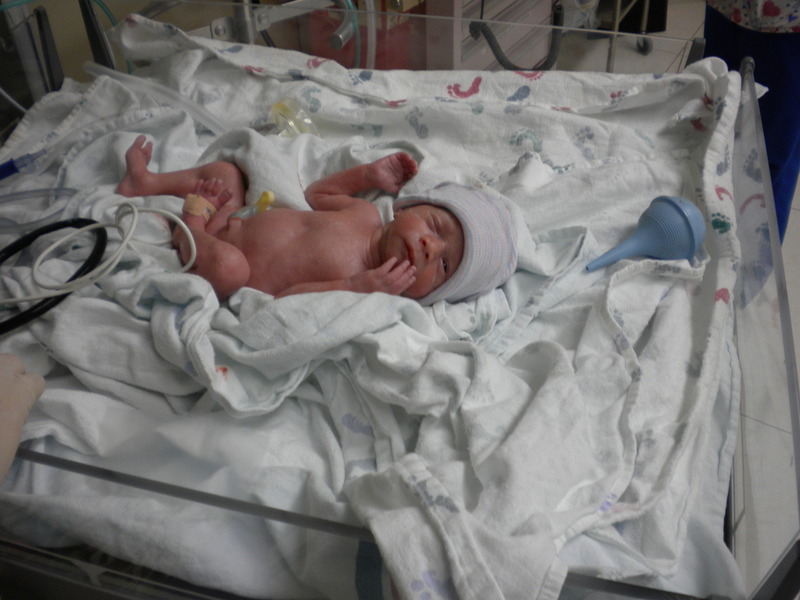 All girls are doing amazing and require very minimal assistance but will remain in the NICU for a while. I have yet to hold them which is very hard but just to touch their hands and see them thrive is amazing and reassuring. God is so good! Thursday evening about 8pm I was not feeling so great so the doctor asked I come to the hospital to be checked out. We spent Thursday evening in the triage area to be monitored until we could see Dr Mirabile Friday. Once we did see him he said that he anticipated the girls would be here within the week. We had no idea that was going to be the very next morning! 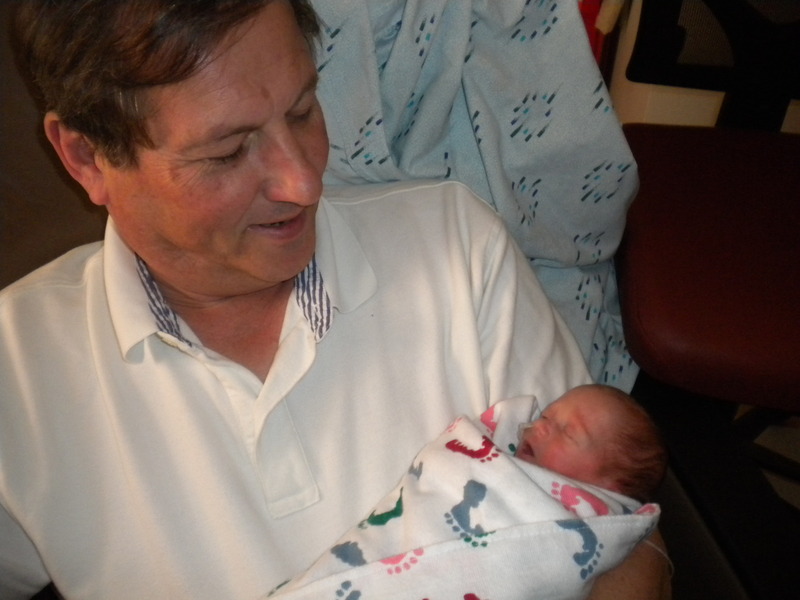 He came in at 6:30am Saturday February 12 and said” it’s birthday time!”. We were in shock and called the troops. Within an hour and half the girls were born and it has been a beautiful ride for this day and a half. When I can I will post pictures. The girl are under heat lamps tanning, well that is what it looks like, and have little glasses on and very small tubes in them. We have given them time to be well cared for by a wonderful team of nurses and been able send in grandparents and aunts and uncles in for reinforced love in between. We truly believe these are miracle babies and they continue to live outside of me the way the way they did on the inside. Each developing their own personalities and traits which leave us in amazement and true comfort that they are God’s children. We need specific prayers for them to meet milestones, grow and breath well, and be healthy girls. From a happy and blessed mommy and daddy, welcome to the world my baby girls!! !